About 6 years ago I wrote a piece on the concept of 'browser fingerprinting'. This was a way of identifying a returning visitor by recognizing their browser and OS – EVEN if they were blocking all cookies. At first glance, this sounded unlikely. 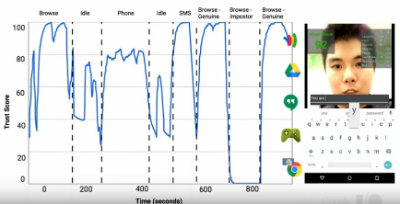 After all, how many millions of people are using Chrome on OSX? How many are using exactly your version of Chrome? on the same OS version? and using your screen resolution? with precisely your list of available fonts? 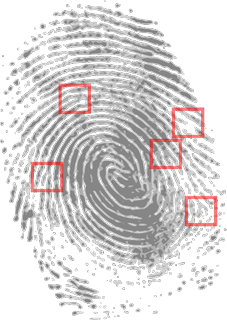 As with traditional fingerprint matching, small parts of any given fingerprint may well match thousands of other fingerprints. But none of them match all parts of another fingerprint exactly. That's what makes fingerprints so useful. It turned out our web browsers weren't that different to our thumbs. The closer you look at them, the more different they appear. It's an idea that is almost as cool as it is creepy. In fact, AmIUnique.org still demonstrates how it works in practice. Project Abacus: Cranking the Creepiness? Looking at these as a whole can apparently generate a 'unique ID' for any user. 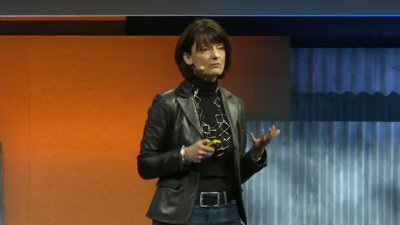 In fact, last year, Regina Dugan gave a great (6min) explanation on Project Abacus at Google I/O. As a concept, it certainly has some cool advantages. As is the case with traditional passwords and signatures, none of these individual characteristics are beyond copying. But unlike reproducing a signature – the current system you used to authorize your passport, license, and credit cards – it's harder to know exactly what you're copying in Abacus. For example, with 10-minutes practice you might be able to mimic your best friend's signature, but could you accurately mimic their walk? Or their swipes? As well as their vocal tone? All at the same time? The other great aspect of Abacus is that, unlike all current systems, Abacus is constantly authenticating you and keeping a ‘trust score’. So, in theory, if someone grabbed your phone in the street, it wouldn’t matter if you were logged into email, social media or even bank accounts. The device would quickly recognize the current user wasn’t you and log out all accounts. That’s an impressive use case. Bodies change. We bang our knee and limp. Our voice gets croaky with flu. We cut our hair, we shave our beards, we get collagen injections and new glasses. Sometimes all on the same day! Getting locked out of all your accounts the day you had a serious bike accident would be hard to forgive and forget. Of course, this problem is simply a technical/UX challenge. It’s probably possible to build a system that gets this right 99.9% of the time. Signatures have never been 100% foolproof either. And we know Google are very good at building systems. I’d back them to get that right eventually. The Final Straw in Privacy? Let’s face it: We’re all lazy. We’re all looking for easy ways out. The prospect of grabbing your friend’s phone and instantly opening your email on it without needing a single password is very seductive, right? But we also need to realize we’re letting go of the steering wheel. No longer are WE identifying ourselves to the phone. The phone is proactively identifying us – whether we like it or not. Who’s the boss in this scenario? Somewhere there will be a database that can pick us out of a crowd just because we walk funny. It might just be me, but that has more than a hint of 'Minority Report'. P.S. If I told you Regina joined Google as the previous director of DARPA, would you feel better or worse?